Summer offers a wonderful opportunity to catch up on reading and be inspired by what our contemporaries and the people who came before us have reflected on. If you are unsure what you will bring with you on your trip. Have a look under our inspirational reading section. You will find 5 sub-sections where books on art, film, art and science, philosophy are introduced. There is also a section for fiction. 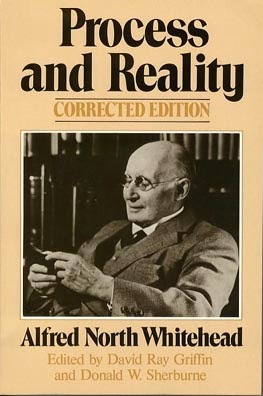 If you want a challenge, maybe you want to read Whitehead's magnum opus, Process and Reality. It is one of the most important philosophical books written in the 20th century. Still we cannot ignore the fact - it is anything but easy read. Whitehead introduces new words for virtually every basic concept of metaphysics. This is both the philosophical genius of his approach and that which makes it demanding to penetrate. The book attempts to create a new and time-based ontology that goes beyond Bergson's. Whitehead draws primarily on Locke, Hume, Descarts and Kant. He critizes them all (without loosing his respect for their individual philosophical contributions) and creates a philosophy that is both beautiful and deeply inspiring - especially if you are a creative person. Whitehead's "prehensions," that replace what we in daily speech call perception and his "symbolic reference" together offer an amazing strategy that enables time, learning, creation into the universe of how we relate to the surrounding world and how we can affect it. Metaphysics is an elusive term and yet in Whitehead's writing it becomes both consistent and deeply interesting. Whitehead formulates his problems with a razor-sharp clarity and comes to fantastic conclusions. Why not try a read?? ?